This tour takes place in April–May 2019. If that doesn’t suit your plans, see our similar tours in November 2019, May 2020 and November 2020 or contact us to ask about a private tour to suit your time, interests and budget! 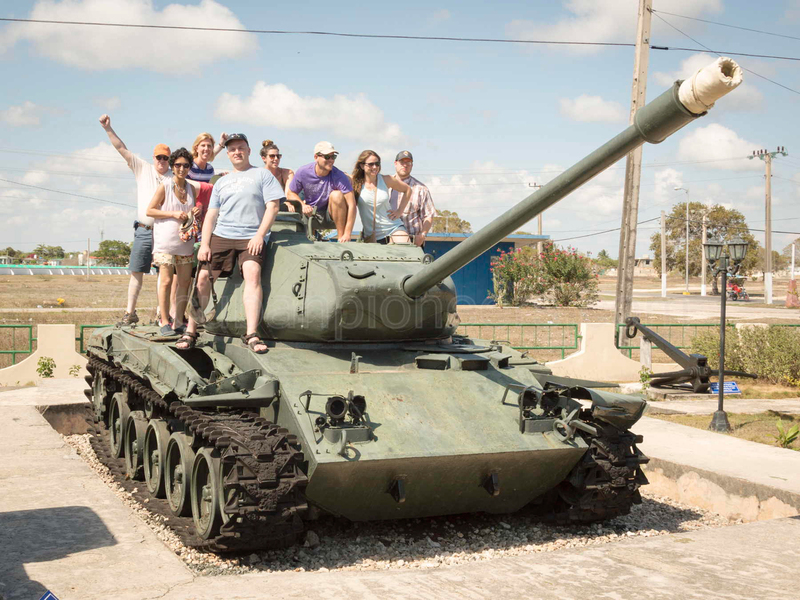 The tour is accompanied by Cuban Pioneers’ local Cuban guide, as well as a western guide, and we also incorporate the much more relaxed environment that Cuba offers us by giving ample time for free exploration as well as providing a great chance to party the night away as much as you wish. As with all tours we can offer excellent discounts for YPT members, old customers, and group bookings. 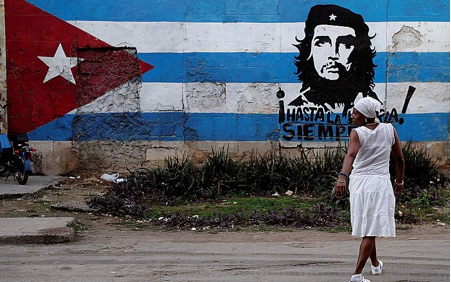 Nothing stays the same forever, and Cuba is changing rapidly day by day, so see it with Cuban Pioneers now! It also includes the Viñales tour extension, giving you the opportunity to visit some extra sights in Havana, including the secret bunker where the nuclear missiles that precipitated the Cuban Missile Crisis were stored, and the upcoming town of Viñales in the Pinar del Rio Province. We’ll explore the sights and the nightlife, including Cuba’s second famous cave nightclub! Colombia might have had a chequered past, with landmines, and the remnants of the civil war and organised crime still very much omnipresent, but Colombia is slowly waking from its past and hitting the challenges of reform head on. Join our adventure before these countries are changed forever! We aim to leave at 10.00 am, depending on Cuban bureaucracy! We’ll take the 2-3 hour scenic drive to Viñales. On arrival, we check into our casa before heading out for dinner and drinks in this formerly sleepy town that whilst still relaxing now has a bustling nightlife. * Trip to the beach…See the decaying grandeur of one of Havana’s former elite private beach clubs from the 1950s – very non-touristy! Arrival and meet rest of the group, transfer to our hotel situated in the La Candelaria historical district of Bogotá. The group convene at 6pm in the lobby to go through the itinerary for the week, and head out for dinner in the old town. Ceviche, or raw fish cooked in lime juice is a very South American, and Colombian thing, so we head to a restaurant to try this delicacy. For non-fish lovers there will be other options. 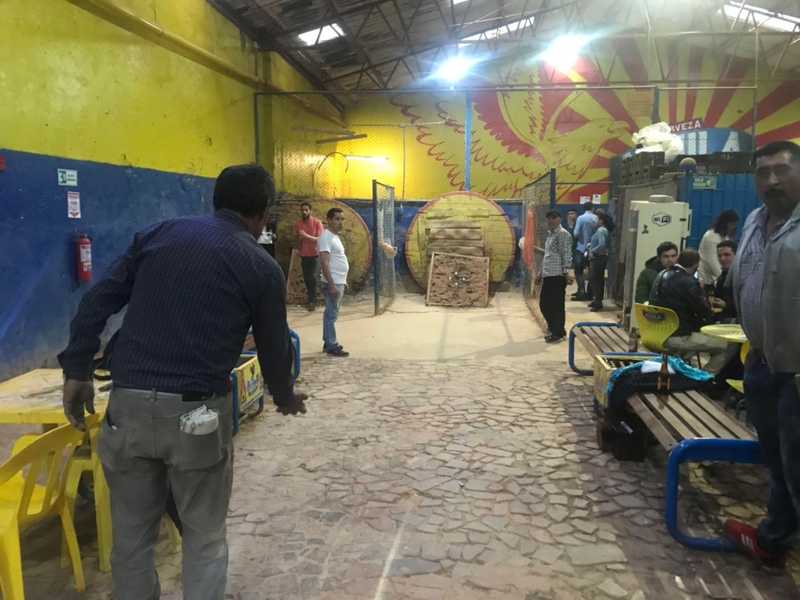 Beer and explosives go together like peas and carrots, so we finish our first night in Bogota by playing the local traditional sport of tejo, which is literally throwing iron balls at explosives while drinking beer. Great stuff! Walking tour of La Candelaria. 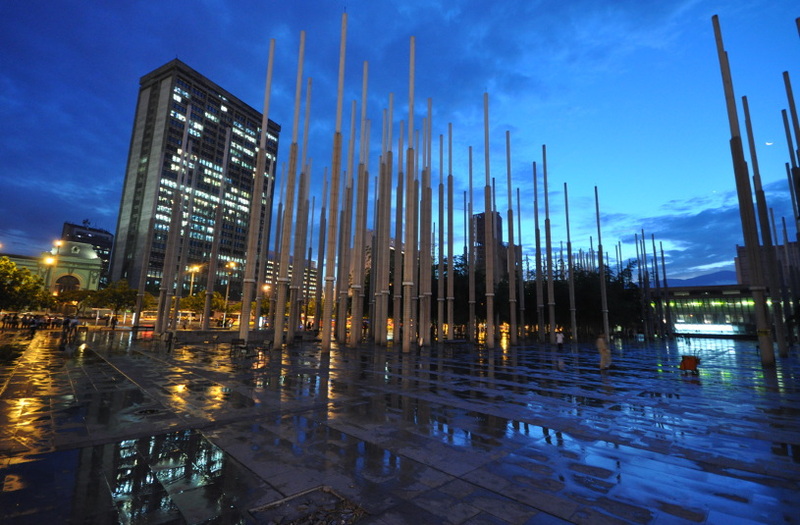 This is where Símon Bolívar – El Libertador, the original Latin American revolutionary – was almost caught, and where various figures of Colombian history met their fate. Head to the Military Museum where we even learn about the not commonly known role of Colombia in the Korean War! 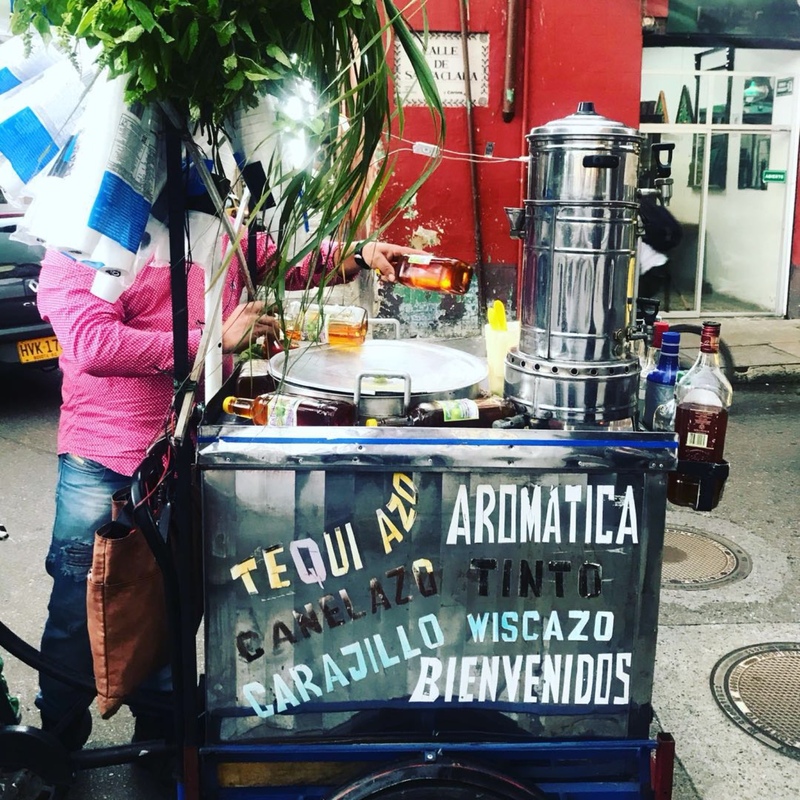 Bogotá is famous in Colombia and beyond for its fabulous street food, so we take a staggered street food lunch trying almost everything they have on offer, including Mick Jagger’s favourite “oblea”. Stop by the Congress and Supreme Court, which was seized by the M19 Marxist guerrillas, allegedly on the orders of Pablo Escobar. We visit the Colón Theatre, which played an important part in the peace process between the government and FARC and get a detailed explanation from our local guide about what achievements and failures have followed the peace process. 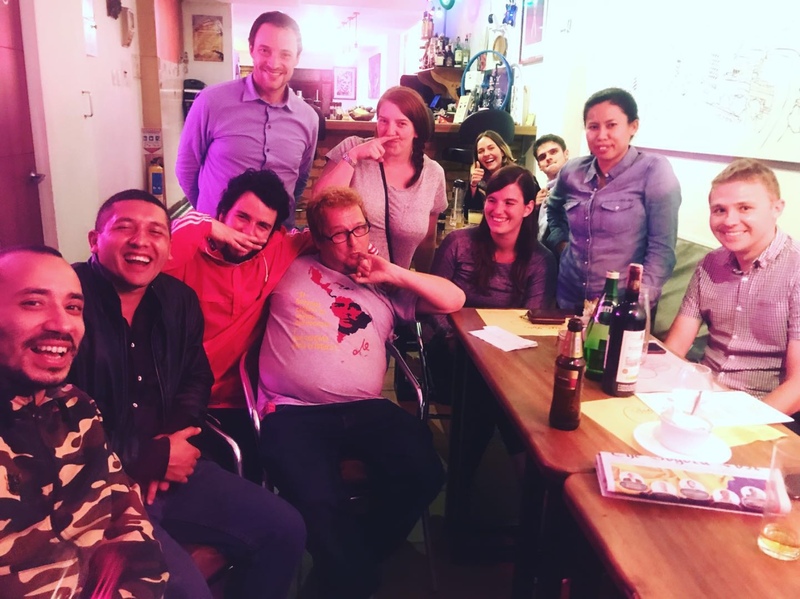 Colombia’s capital has now shaken off its image of danger, and is a vibrant place for a night out, so we head to one of the many bars for dinner and drinks. On arrival, we transfer directly to the Tayrona national park, part of the Sierra Nevada range, which is home to many of the indigenous peoples of Colombia as well as its most diverse biosphere. Hiking time! We head out for a hike around the national park, where we can spend some time on a deserted beach, as well as see how the indigenous Wiwa people live. Following a day of gentle hiking and relaxing on the beach, we head to our eco-resort, surrounded by fresh fruit trees, and a swimming pool for us to relax in. We take a relaxed start to the day with breakfast at the resort and time to enjoy the pool before we leave for the next part of the trip. 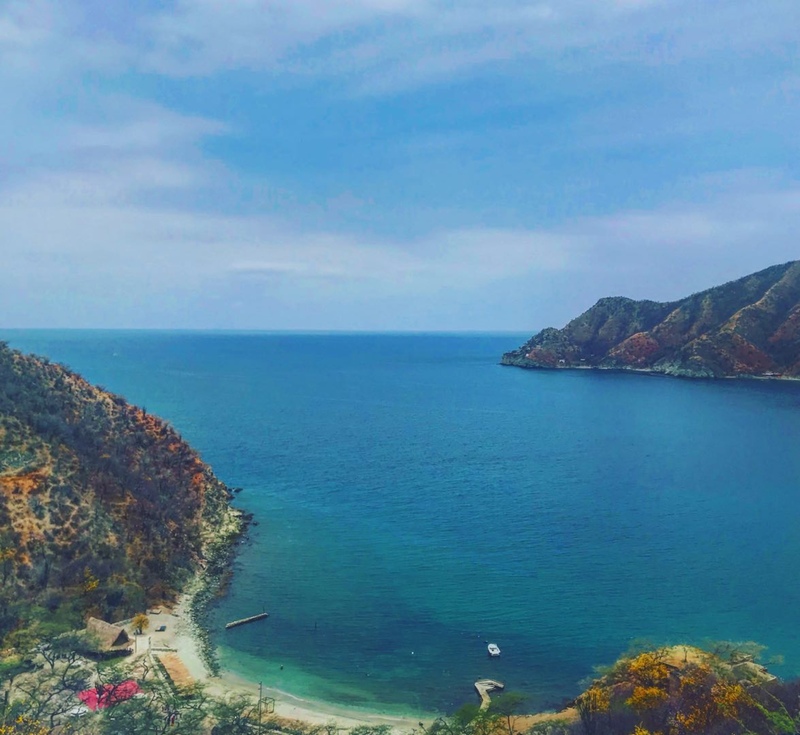 We take the scenic drive from Tayrona to Santa Marta city, which takes about an hour, with us stopping for some great views of the bay. We visit the gold museum, to learn about how gold has been mined from indigenous times to present. For lunch, we head to one of our favourite restaurants in Colombia, Radio Burger, for a full lunch! Our last stop before leaving Santa Marta is the Quinta de San Pedro, which was where Simón Bolívar, the liberator of the Americas, died and was originally buried. We also visit the surrounding gardens for a quick look at the huge (but friendly) cat-sized lizards that live there! We board our air-conditioned luxury bus for the 4-hour drive from Santa Marta to Cartagena. 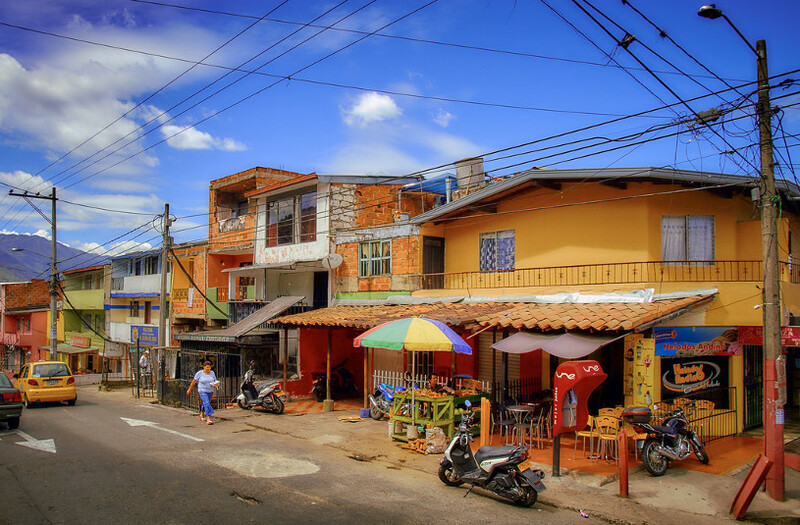 The journey itself is a fascinating look into contemporary Colombian life, with us passing through the numerous barrios, before hitting the rich parts of the city. Cartagena is street food heaven, particularly if you like meat, so we head for street food dinner and drinks in the city. 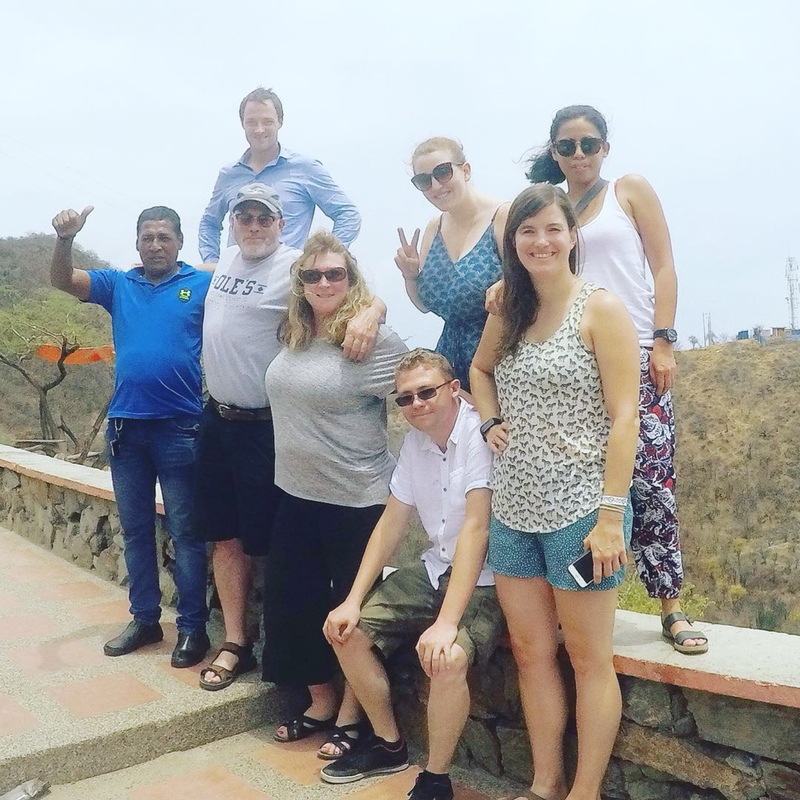 Cartagena is an old colonial city, so we spend the day touring around this historical city. We check out the old colonial walled city, as well as its 500-year-old coral stone forts from the Spanish era. We head to the female prison, where it may be possible to go inside, meet the prisoners, and speak to them about their lives in this semi-open facility. Lunch at Interno, a restaurant located inside the women’s prison, which is staffed by inmates as a way of integrating them back into society. Climb La Popa Hill for a great view of the area and visit the 17th century Santa Cruz monastery. Check out the Spanish Inquisition Palace, where people were tortured and executed for crimes against Catholicism. Following a hot day of touring the old city we head to one of the bars on the wall to witness the beautiful sunset of Cartagena. Dinner in the old city before we head for drinks at the legendary KGB bar, which is full of the kind of old Soviet stuff YPT just love! Take a 10am flight to Medellin, Colombia’s second city and home to the infamous drug-lord Pablo Escobar. We head for a traditional and hearty Medellin lunch consisting of rice, soup, plantains, salad and the meat of your choice. #TRIP HIGHLIGHT# We take the 90-minute drive through the ranches of Medellin to the La Manuela estate, and former home of notorious drug lord Pablo Escobar for some serious Narco-tourism. To get to the estate we need to take a boat, which offers some great photo opportunities, before we spend a few hours exploring the lavish estate that was largely destroyed during the Medellin-Cali drug cartel wars. La Manuela is now owned by Escobar’s former butler, who has embraced tourism in a big way, and part of the estate is now set up for paintball! So, we offer this! (Optional, extra cost). For those not inclined there is a bar. After Ayers Rock in Australia, El Peñol offers the second biggest rock in the world (there used to be a nightclub at the top), which we shall climb! At night, we head to our ranch hotel in the countryside to enjoy dinner, and drinks in a relaxed atmosphere. Breakfast at the ranch before we head off for the next Pablo Escobar part of the tour. We drive for three hours to get to the notorious Hacienda Napoles ranch, where Pablo Escobar created his own zoo, complete with the infamous hippos that have been a menace to the local farmers. The site is now government-owned and boasts, aside from the wildlife, the Pablo Escobar museum, as well as his former private aircraft runway. Aside from the animal park, and museums there is also a huge water park, so we take a rest from museums and city tours with a few hours at the water park. We now embark on the 3.5-hour drive back to the cloud city of Medellín, where if we are lucky we will get to stop and witness one of their famous sunsets. Dinner at a roadside restaurant serving traditional Medellin fare. On arrival in Medellin we check into our hotel in the hipster district of El Poblado, which is full of great bars and restaurants. 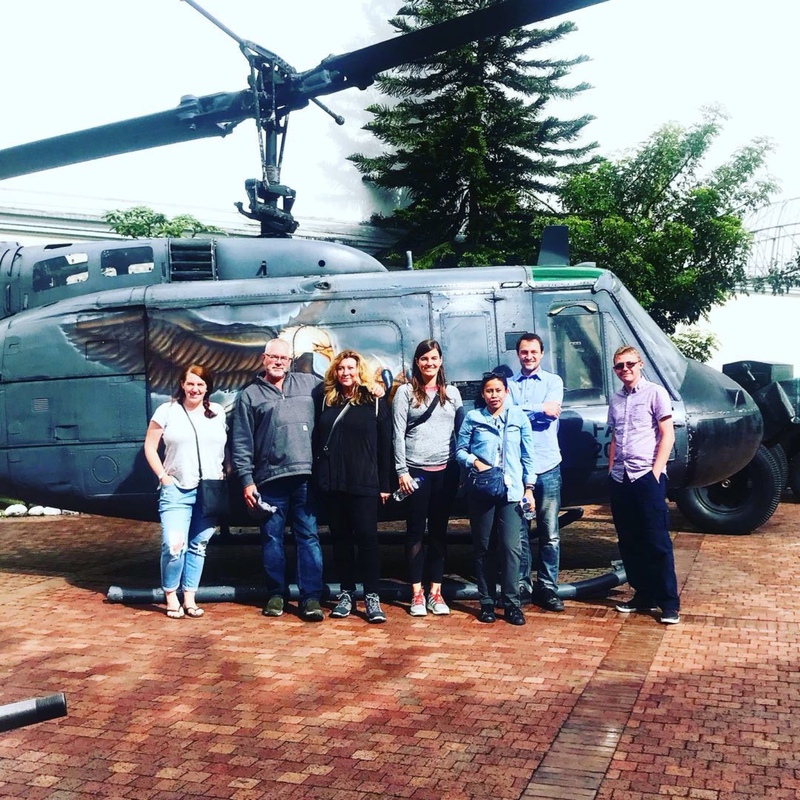 #TRIP HIGHLIGHT# We get up early to take part in the legendary Pablo Escobar tour, which was set up by his trusted lieutenant “Popeye”, who fans of Narcos might remember. The tour is led by one of his former drug mules, who is very open to answering questions about his time working for the notorious drug lord. Our first stop is the “Monaco” building where Pablo Escobar formerly lived, and which was blown up by the Cali cartel. We now head to the notorious La Catedral prison, that Pablo Escobar built and paid for himself in 1991, to serve his agreed 5-year sentence in luxury. The site is now an old peoples’ home run by monks, but there are still signs of what it used to be such as the watchtower, and his personal helipad, which offer some of the most amazing views of Medellín. We finish the Pablo Escobar tour by visiting his grave and final resting place, where our local guide, and former henchman of Pablo will regale us with stories about his time working for the cartel. After lunch, we head for a city tour of Medellin, with our first stop being riding the legendary cable-metro, which again offer great views of the city, particularly the poorer parts of it. Our next stop is Cerro Nutibara, which offers great ice-cream as well as views across the bustling city. We finish our tour in the old town, where we will get a chance to try some coca tea, before heading back to our hotel. We head for farewell dinner and drinks around our hotel for our last night in Medellin, and Colombia. We get up early for our morning flight to Bogotá, where the tour ends, with YPT being able to arrange ongoing transport or accommodation for those that need it. 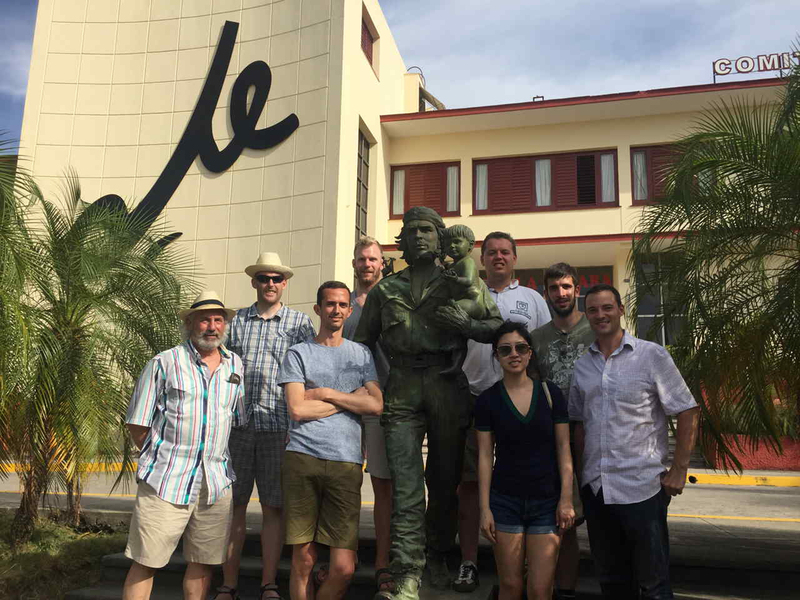 Alternatively continue your tour with our extension to Cali where you can find out about the Cali cartel and find out how Kim Il-Sung was responsible for the invention of salsa dancing!